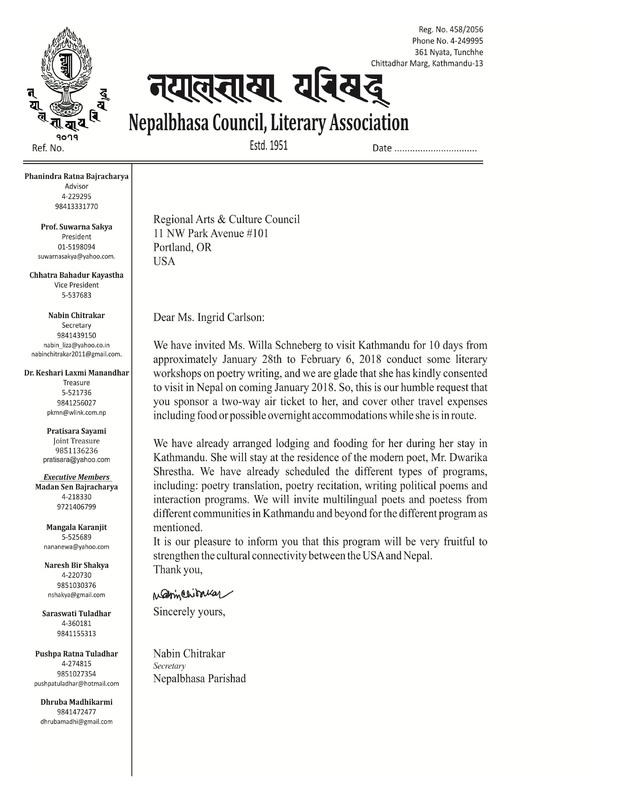 Willa was invited by the Liza Nepalbhasa Poetry Forum, a branch of the Nepalbhasa Literary Council of Kathmandu to be a poet-in-residence for 10 days in Feb. 2018. 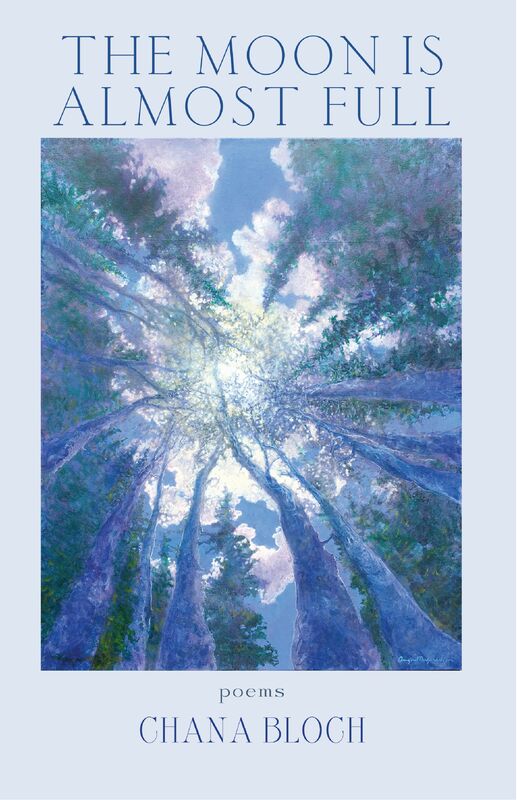 She received a Professional Development Grant from the Regional Arts & Culture Council, (RACC) to cover travel expenses. Poetry’s precise, musical, metaphor-infused language can get to that place beyond the illusion of the objective, to “true” words. 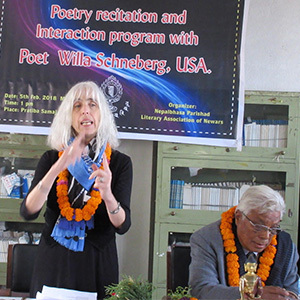 She spoke to students, writers and critics about poetry translation at the Nepal Academy, an institute for the promotion of the languages, literature and culture. 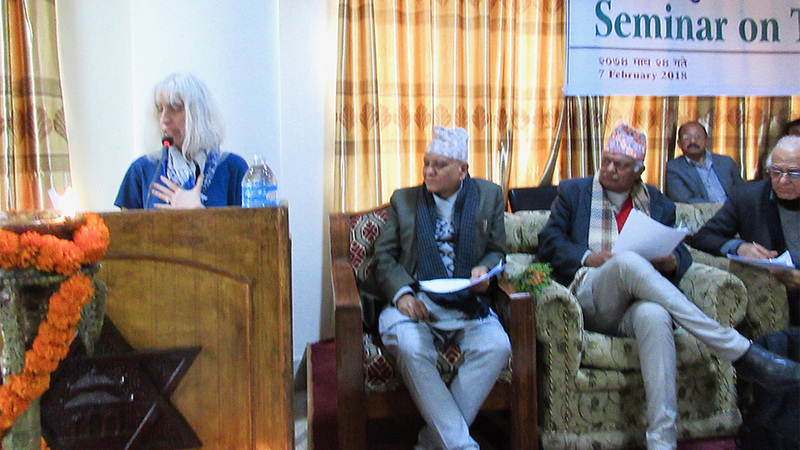 At the (NAFA) Nepal Academy of Fine Arts, she talked about the interface between poetry and sculpture. 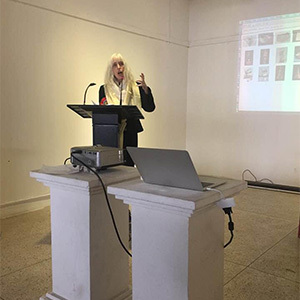 She discussed political poetry with graduate students in English and philosophy at the (IACER) Institute of Advanced Communication, Education & Research. 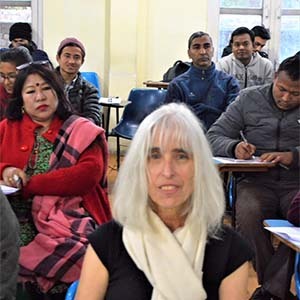 She spoke to a group of Newari writers, sponsored by their organization Nepalbhasa Parishad, which sponsors the promotion of works in the Newari language, Nepal Bhasa. 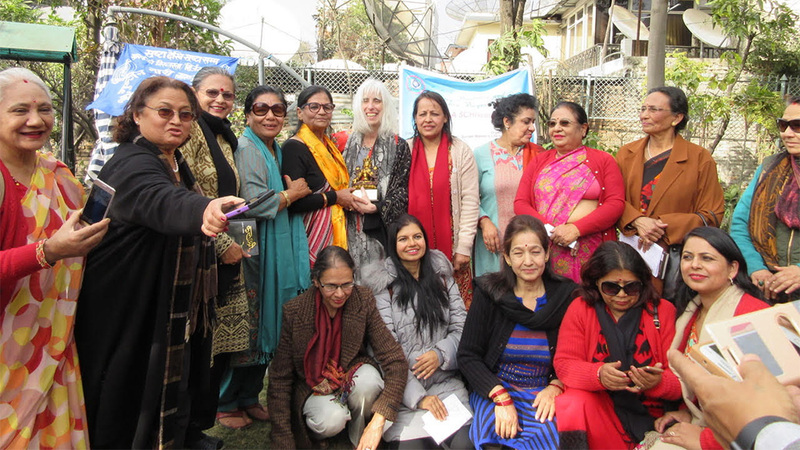 She read to members of Gunjan, a Nepalese women’s writers’ organization that has been in existence for more than 20 years. 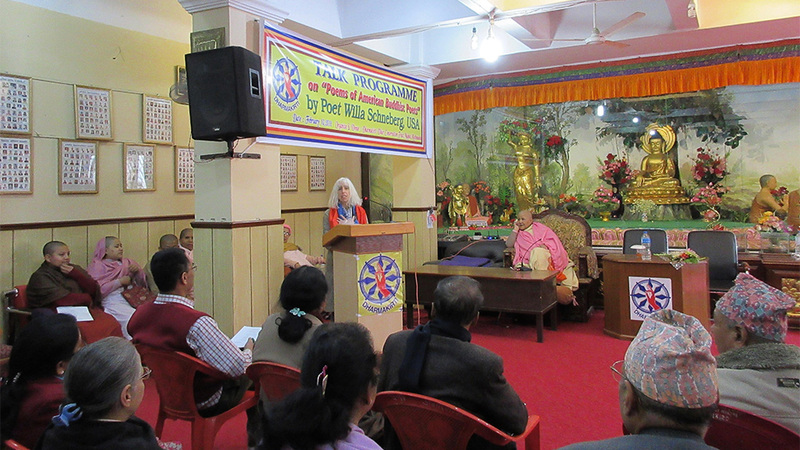 She spoke about American Buddhist Poetry at the Dharmakirti Vihar Monastery. For David Maisel, who photographed canisters holding the ashes of mental patients at a state hospital in Oregon. 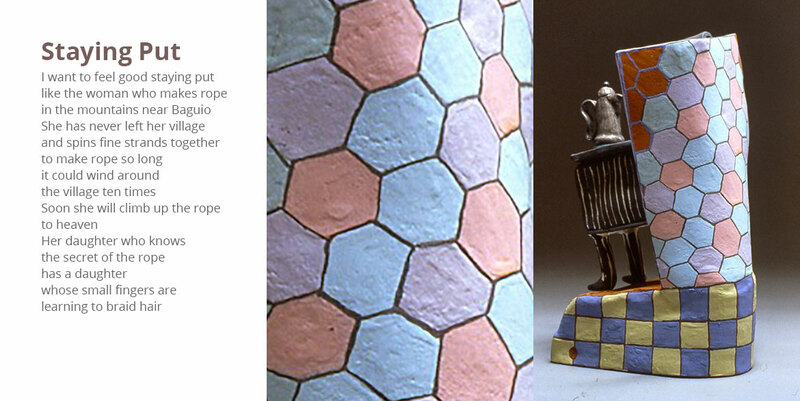 Willa will juxtapose projecting slides of her ceramics and reading her poems with similar themes. Her desire is to reveal the synergy between the visual dimension in the mind’s eye, and the poem in the physicality and curve of the clay. Poet Chana Bloch’s The Moon Is Almost Full, (Autumn House), focuses frankly and tenderly on the themes of aging and death. Willa will join poets Andrea Hollander, and Paulann Petersen to read selections from Bloch’s The Moon Is Almost Full.